Our partners, the Arkansas Economic Development Commission provide fantastic resources for companies engaging in international business. Visit the International Business Division to learn more. We partner with Rudy Ortiz of the Manufacturing Solutions Division of the Arkansas Economic Development Commission (AEDC) to engage Arkansas companies through ExporTech, a national export training program. For more information about ExporTech or our partnership with Manufacturing Solutions, contact Rudy Ortiz, Manager of Client Services at the AEDC through the link below. The Arkansas District Export Council is a private, non-profit organization that brings together experienced international business people who provide support, advice, and assistance to Arkansas companies interested in exporting. The State International Development Organizations (SIDO) is the only national organization exclusively dedicated to supporting state level international trade development agencies such as the World Trade Center Arkansas. They are a nonprofit, nonpartisan organization. The US Commercial Service provides seminars and a host of other advantageous programs for US exporters or those new to global commerce. 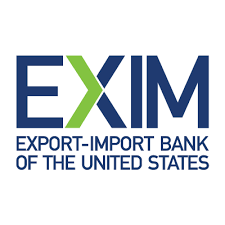 The Export Import Bank of the U.S. is the official export credit agency of the United States. Learn more about how they can help your exporting company. 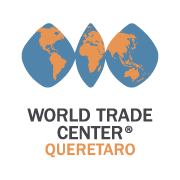 Located in the most modern zone of Querétaro, the World Trade Center Queretaro is a strategic partner of the World Trade Center Arkansas. WTC Querétaro doorway for companies wishing to develop and expand business through the Querétaro region. The World Trade Center Havana is a strategic partner of the World Trade Center Arkansas. WTC Havana organizes business forums, B2B meetings and personalized agendas every year to business missions and individual entrepreneurs that come from other WTCs, Chambers of Commerce and commercial promotion institutions from more than 60 countries, interested in the Cuban market. The World Trade Center Winnipeg is a strategic partner of the World Trade Center Arkansas. The WTC Winnipeg provides support to Manitoba companies looking to grow their business beyond Manitoba and provides services to international companies interested in doing business with Manitoba companies. The WTC Winnipeg’s trade development team provides a range of services to help companies identify and pursue targeted trade ppportunities, explore new markets, and seek international partnership opportunities.